Exacompta is part of the Exacompta Clairefontaine Group (Rhodia, Clairefontaine, G. Lalo, J. Herbin, Quo Vadis, and others). Exacompta means “exact accounting”; the company originally made ledgers and now is more known for journals. 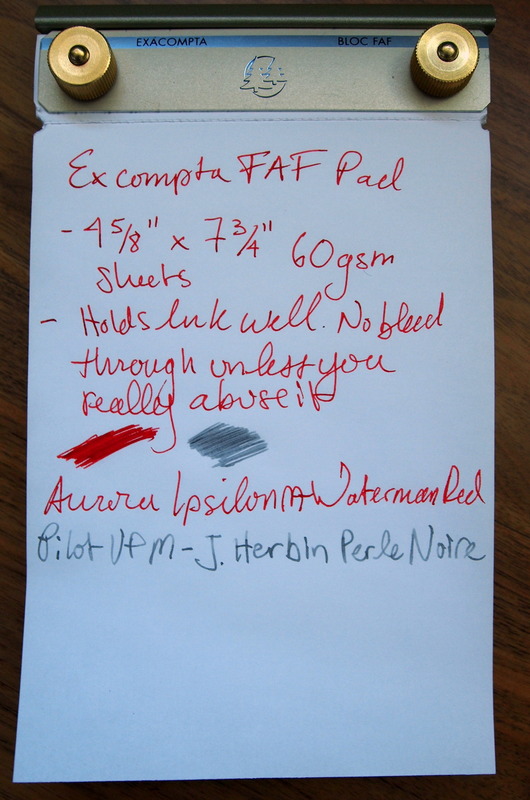 The Exacompta FAF (Fabriqué en France) Desk Pad is a bit of an odd item. 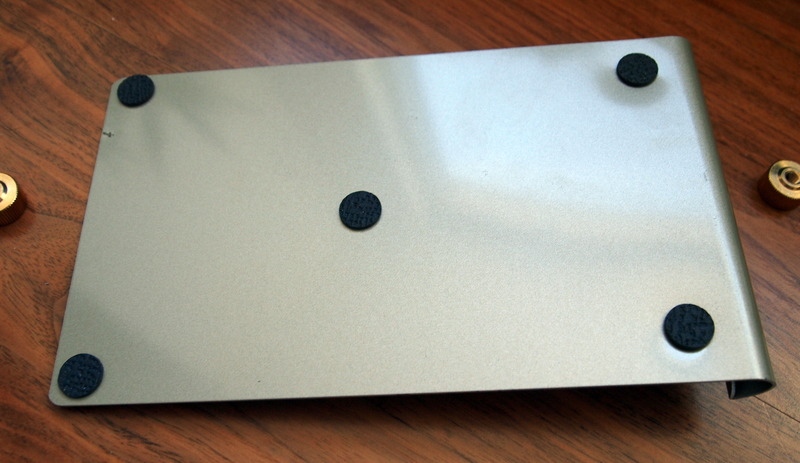 It is a metal-backed refillable notepad with 200 perforated 60 gsm sheets that measure 4.25″ x 7.25″ (this is the medium size). I am not sure why anyone would need a refillable notepad but it looked interesting so I purchased one. Exacompta claims that it is built in a workshop built by Gustave Eiffel (the man who designed the Eiffel Tower). The 60 gsm paper is thinner than Clairefontaine and Rhodia paper; it is also not as smooth but it holds ink well as has a faster drying time. There is virtually no bleed through. I had to try pretty hard to get the paper to bleed. I prefer the paper to both Clairefontaine and Rhodia because of how thin the paper is and how quick it dries (compared to other fountain pen friendly papers). Exacompta calls the sheets “microperforated” which seems pretty generous as they don’t make for the cleanest of tears. The notches next to the perforations are a touch I quite like. 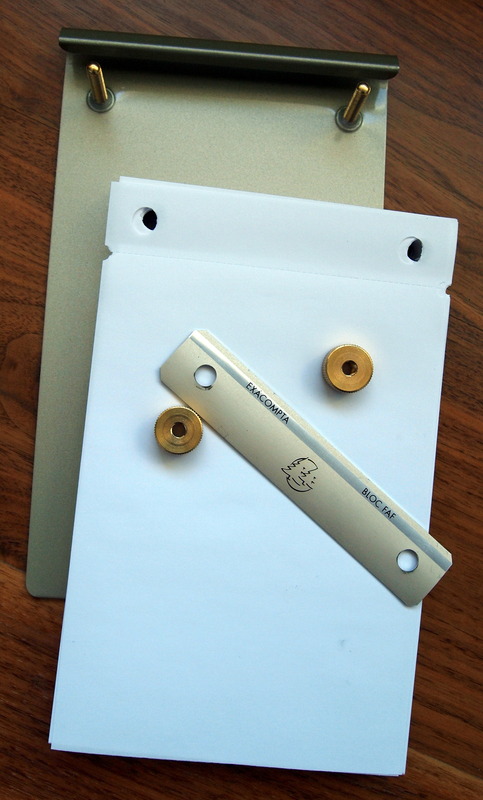 As the name implies this notepad is designed for the desk; the exposed bolts and lack of a cover don’t make the FAF all that portable. A few negative points: 1) I don’t like the ugly Exacompta two tree logo at the top of the pad and 2) the metal back bows slightly causing the pad to feel a bit springy which is annoying. 3) The FAF costs almost $40! I have seen lined refills for the FAF but in the US I believe they only sell the blanks (200 sheets for $8). 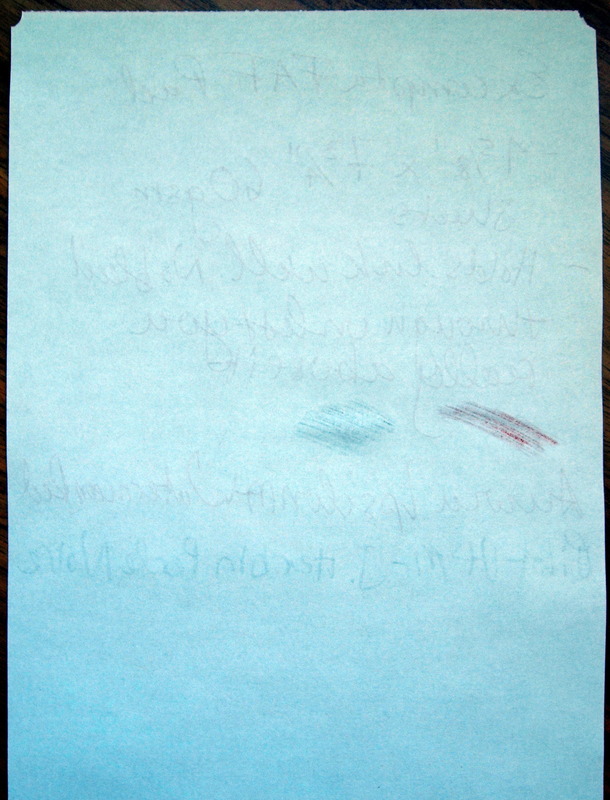 Despite its flaws I really like the FAF Desk Pad; it has a vintage high quality look and fountain pen friendly paper.